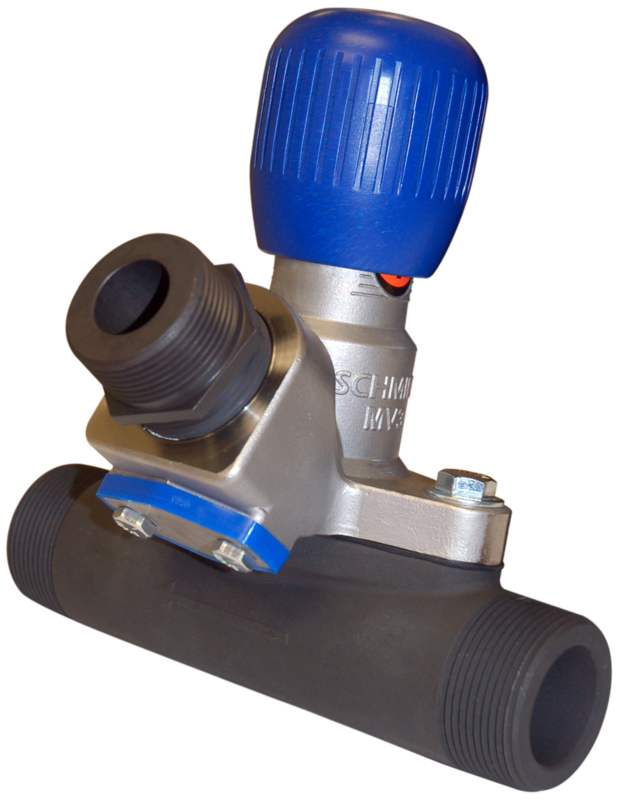 The Schmidt® MV3™ abrasive metering valve is the newest innovation in the family of industry leading Schmidt abrasive metering valves. The MV3 offers the proven productivity and safety advantages that Schmidt valves deliver to abrasive blasting operations through the precise metering of abrasive, along with an extended the service life, an improved clean out port, and easy access to wear components for safe, efficient maintenance. 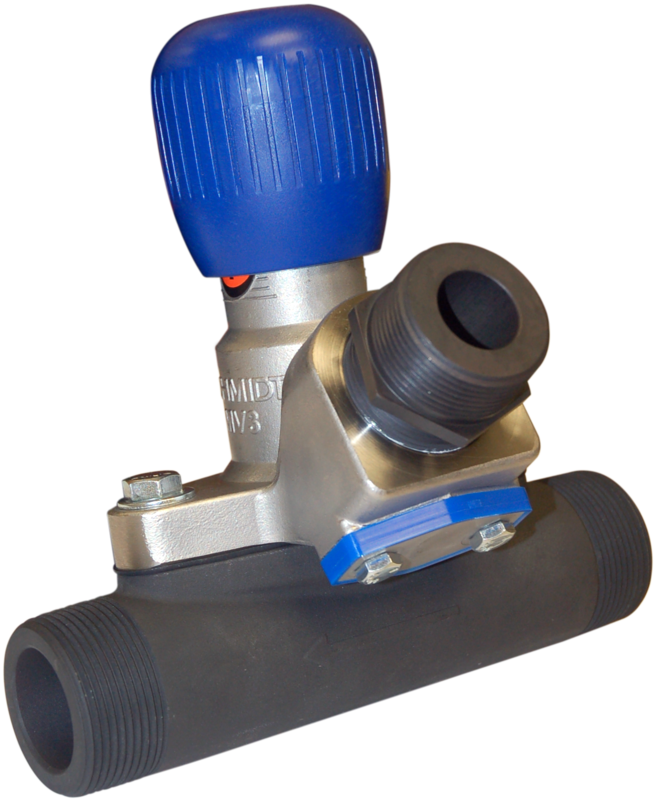 Piping Sizes: 1 1/4", 1 1/2"
Width: 6 3/4" - 7 1/2"
Height: 5" - 5 1/2"